Cairo’s richness in history brings people from all around the world to visit the different historical sites around the capital. The latest of those VIP visitors has been Brigitte Macron, First Lady of France, and one of the most popular ones as well. In her visit to Egypt, with her husband, Emmanuel Macron, President of France, the First Lady also visited the Pyramids of Giza on Monday. Ashraf Mohy El-Den, Director General of the Giza Plateau, accompanied the First Lady in her two-hour visit starting with the Pyramids, moving on to the Solar Boat Museum, Abu Al-Hul, and ending with the Giza Pyramids Panorama. 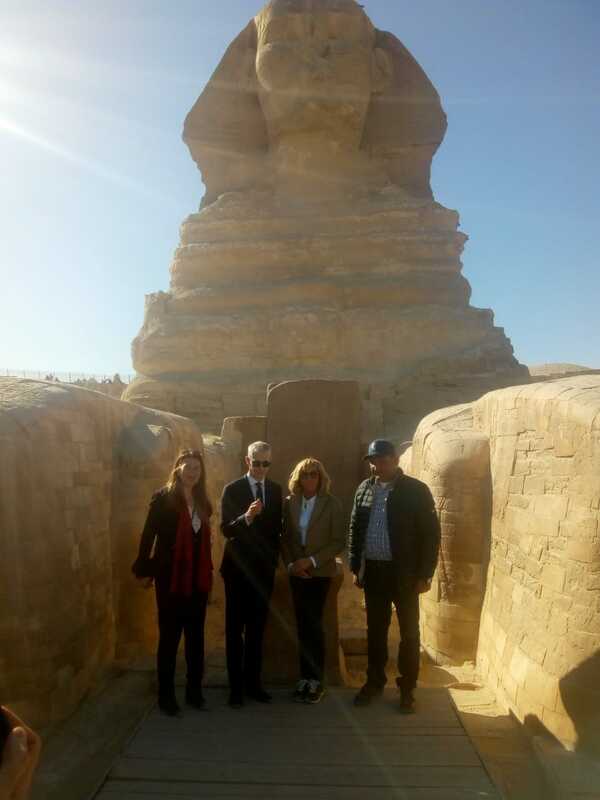 The tour included a detailed brief on the history of the area, in addition to renovation projects and development projects in the area such as renovating Abu Al-Hul statue and developing the Giza plateau. 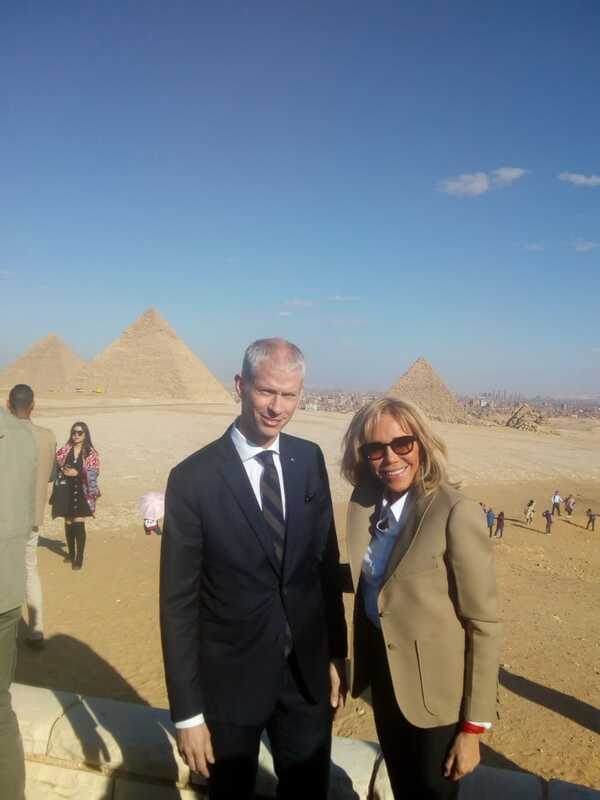 It seems that Brigitte Macron was very fond of the historical sites she visited. According to Fatma Abdullah, the guide who accompanied the First Lady, Brigitte Macron was quite taken aback by the ancient Egyptian culture, and the miraculous ability to erect such monuments. She also highlighted that Macron stood for quite some time to marvel in the beauty of Abu Al-Hul statue. A number of Egyptian visitors, as well as foreign tourists, took this opportunity to have their picture taken with the First Lady.